It’s a new game sensation! Easy to play! Try it with your own kids! How to play: It’s a guessing game. You guess. You lose when you realize halfway to the children’s hospital that it’s just ketchup. You win… well, you never win. You will at least have to scrape ketchup out of a kid’s hair. If the ketchup is in your own hair you might win by freaking people out temporarily. And adrenaline does make a decent substitute for coffee. 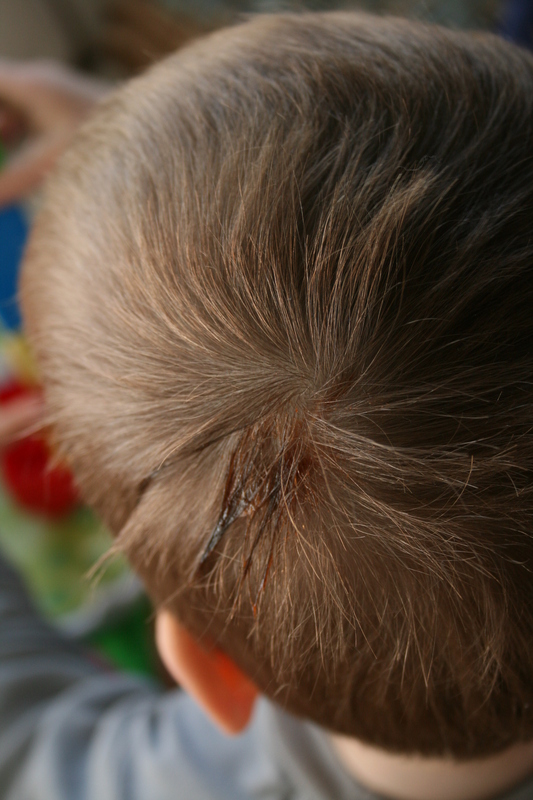 Level of difficulty increases if you discover ketchup/headwound while comforting your child after a suspected injury. Is that Ketchup or a Headwound? You decide! And if you’re wondering why my son has ketchup in his hair at 10 am, well, I don’t want to give away too many of my parenting secrets.